The biggest franchise of singing competition in the world has just finished its recent season in Indonesia. And like the previous season, there are a lot of young and talented singer born from it. One of the contestant is Ghea Indrawati, a 20-year-old singer from Kalimantan. 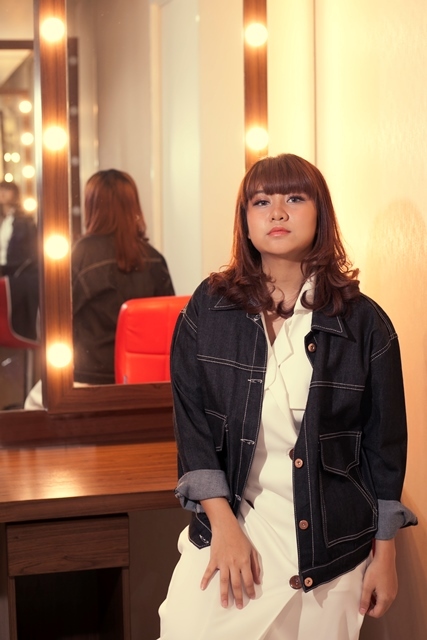 Although she was eliminated in the middle of the competition, Ghea is now listed as brand new idol and singer. What’s on her daily life now that she already achieved her dream? After the competition, what’s the different that you feel in your life? Let’s take a little throwback. Since when you discover your passion in singing and music? “It was all happen accidentally. So when I was in high school, I had this art teacher who told me that I had a potential to become a singer, and she suggested me to try it. I like to sing since I was a toddler and I just considered it as a hobby back in the day. I was a professional bathroom singer, by the way. Then thanks to my teacher, I started it off with my band, even though I never take a singing or guitar lesson. We were often invited as a wedding band or mall events. So I guess that’s the first step of my singing career. Who’s your influence in singing? If you release your debut album later, what kind of music or genre that you would like to show? Being a new singer in Indonesian music industry, do you fear something that will hold you back? When you sing, what kind of message that you want to give to your fans?